It’s amazing how often you think you’ve seen it all only to find only to discover how wrong you really were. For so long I’d constantly walked past Circa and assumed it was just a private garage because they aren’t open on weekends, when it’s closed the venue looks so ordinary that no one would guess there was even a cafe in there let alone one that was this good. There aren’t many great cafes out west so I was excited to find out that this place existed. It’s officially the closest place I can get baked eggs from where I live and that’s exactly what I did when we ordered baked eggs with sujuk, danish feta, tomato, chilli (above) for brunch with Miss K and her sister . I usually prefer baked eggs to have a more tomato but this one redeems itself with great tasting spices and strong flavours. 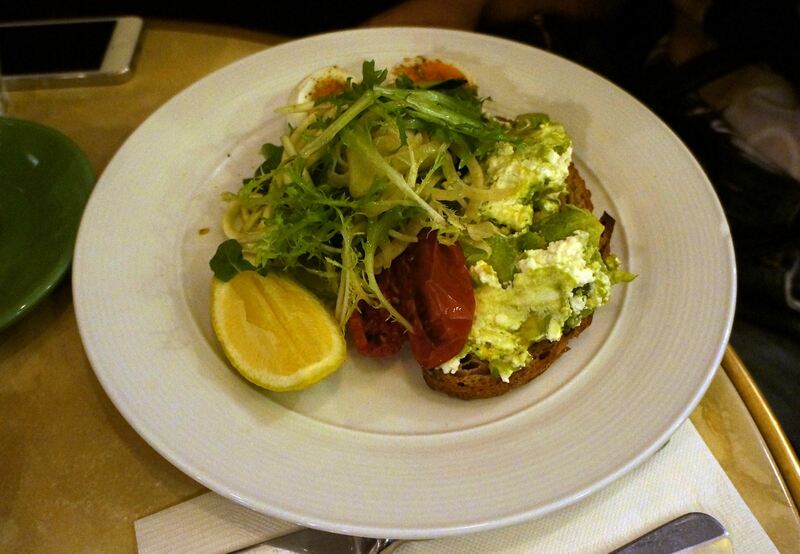 Miss K’s sister decided to order an egg based dish and ended up with an amazing dish of boiled eggs, toast, avocado and feta – I forget what the full name is because I rushed the order (I arrived late) but she seemed sort of happy with her dish. It’s quite hard to tell if she liked it or not but I definitely would have enjoyed it! I actually have no idea what I ordered for myself either because I forgot to take note of the menu, it’s been a while as well! 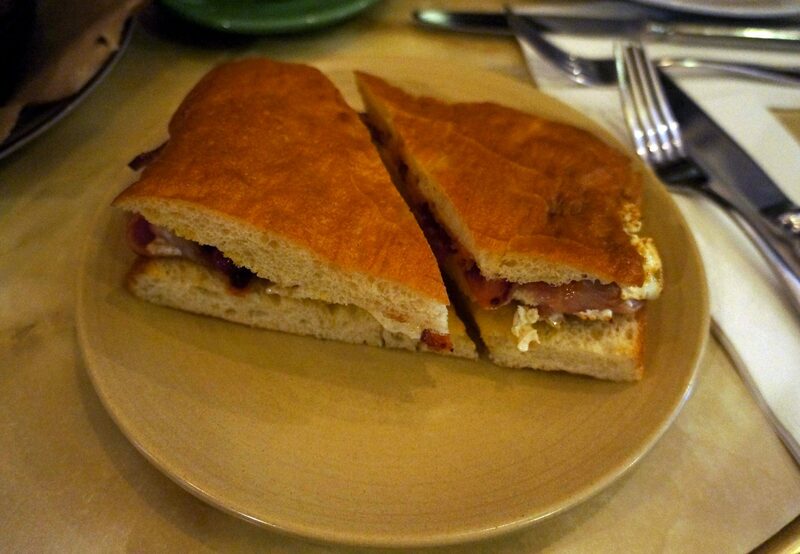 I do recall it being a toasted sandwich with fried eggs and bacon which was delicious and mouthwatering although probably quite unhealthy for me. 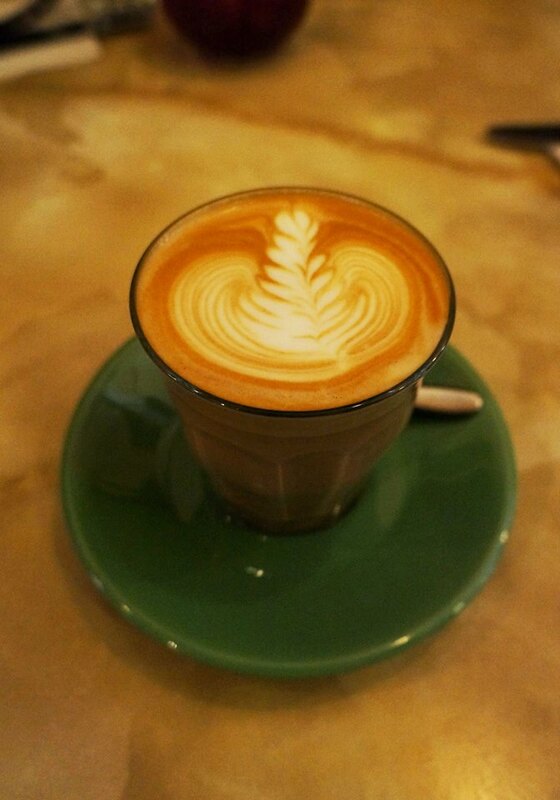 Circa won the coveted three cups in the good cafe guide so we definitely had to try the coffee, they use five senses beans from Melbourne which is probably my favourite after Campos. 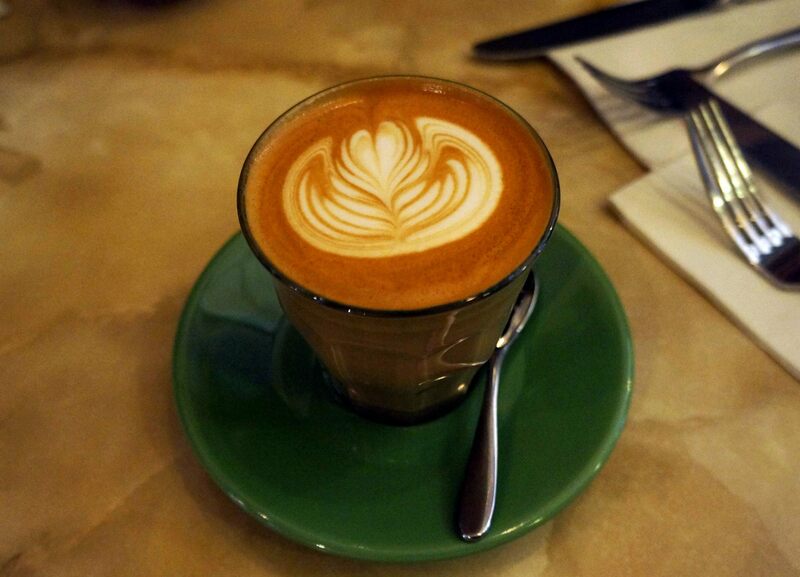 The coffee is made perfectly and is so smooth. 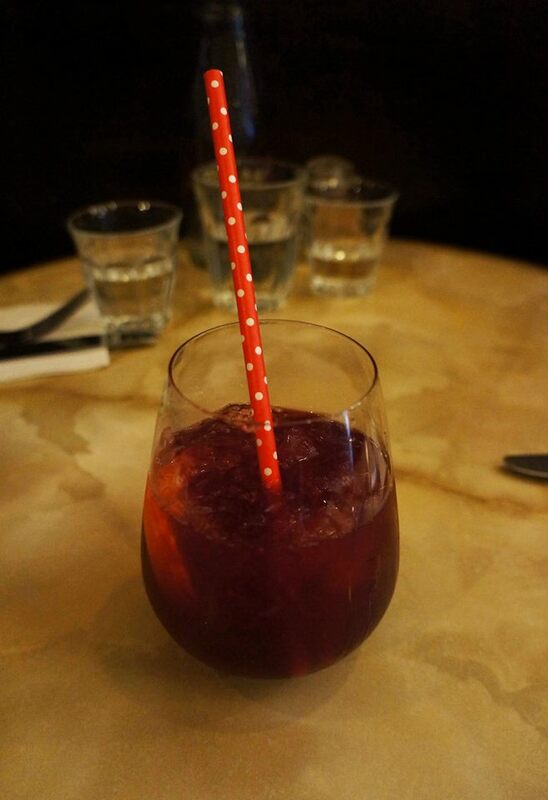 Miss K also decided she wanted to get a Egyptian iced tea made with hibiscus that was quite refreshing and possessed a strong floral scent and taste. 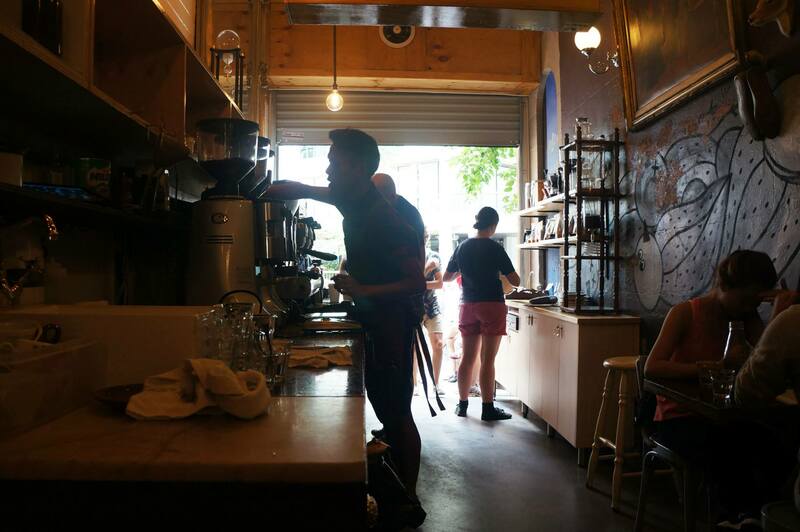 Do keep in mind that although this is one of the most exciting cafes in Western Sydney, it’s only open on weekdays which makes it quite hard to visit unfortunately. We visited on a public holiday and discovered that there was also a public holiday surcharge which kind of sucked but in the end was worth it. That’s actually really good news, means I can actually revisit! I’m not often in the area but if I am, I’ll check this place out. The Egyptian tea sounds really inttriguing! Definitely an interesting drink, haven’t seen it anywhere else! mm those baked eggs look delicious, was going to actually go to circa for Sunday brunch this week.. but sadly i realised they dont do Sundays , im going to have to check them out next time im around Parramatta ! 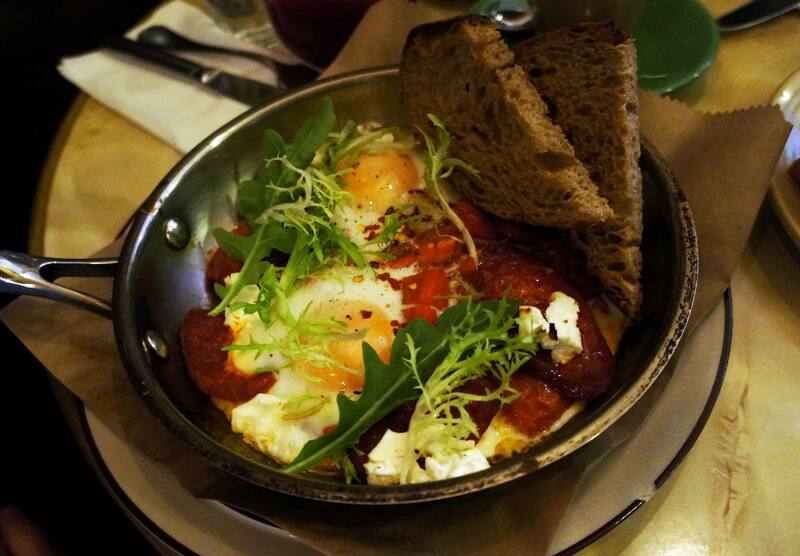 Love sujuk, better than Chorizo baked eggs!